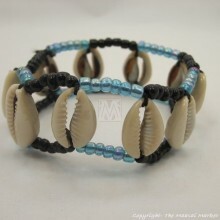 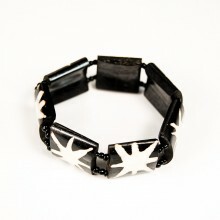 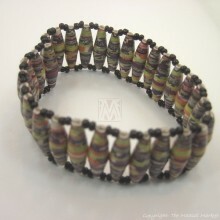 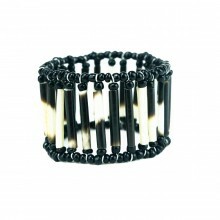 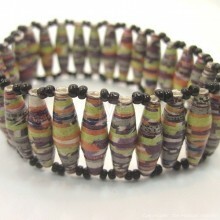 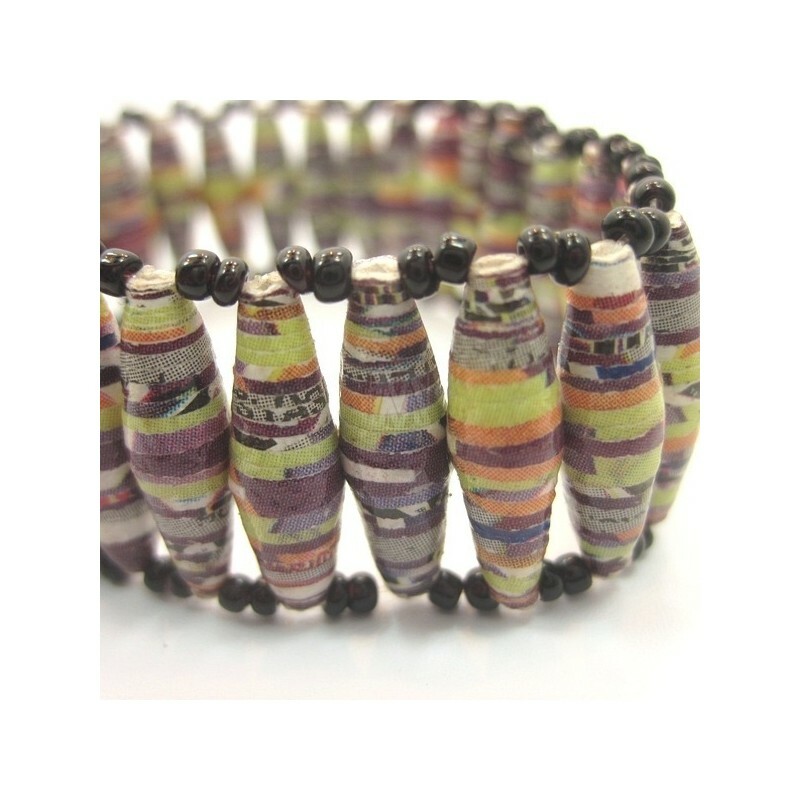 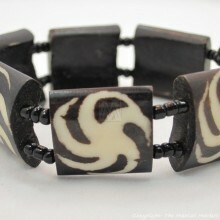 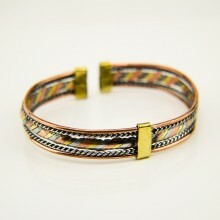 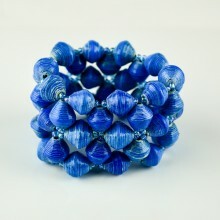 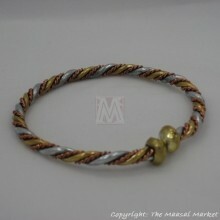 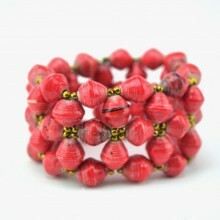 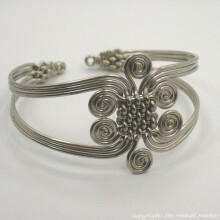 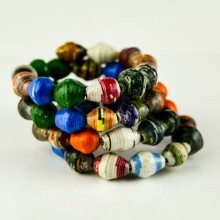 These beautiful bracelets are handmade using recycled material, it doesn't get better than that. 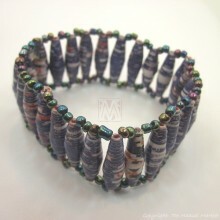 The paper beads are hand rolled individually using glossy paper like old calendars, brochures. 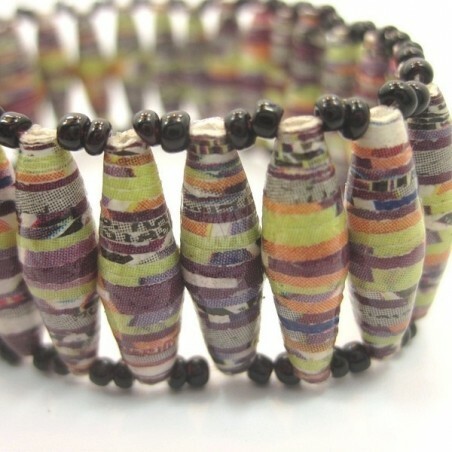 The paper beads are multi colored. 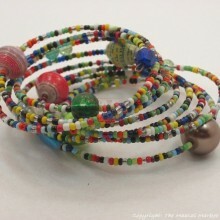 No two of these bracelets look alike. 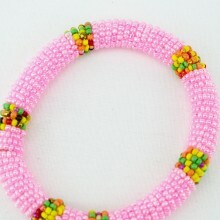 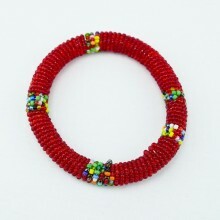 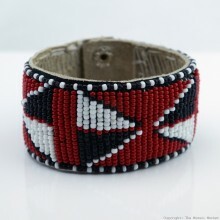 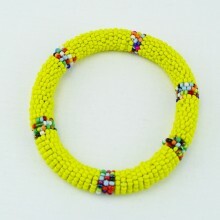 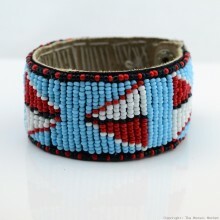 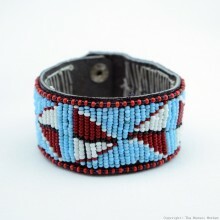 They also have Maasai beads and are strung with stretchy string. 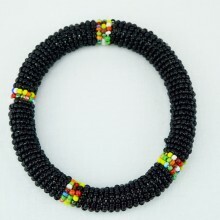 Size: Bracelet circumference approximately 7" unstretched. 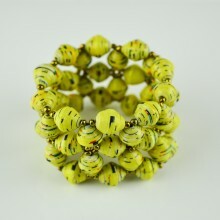 Stands approximately 1" and paper beads are app. 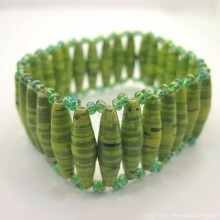 3/4".